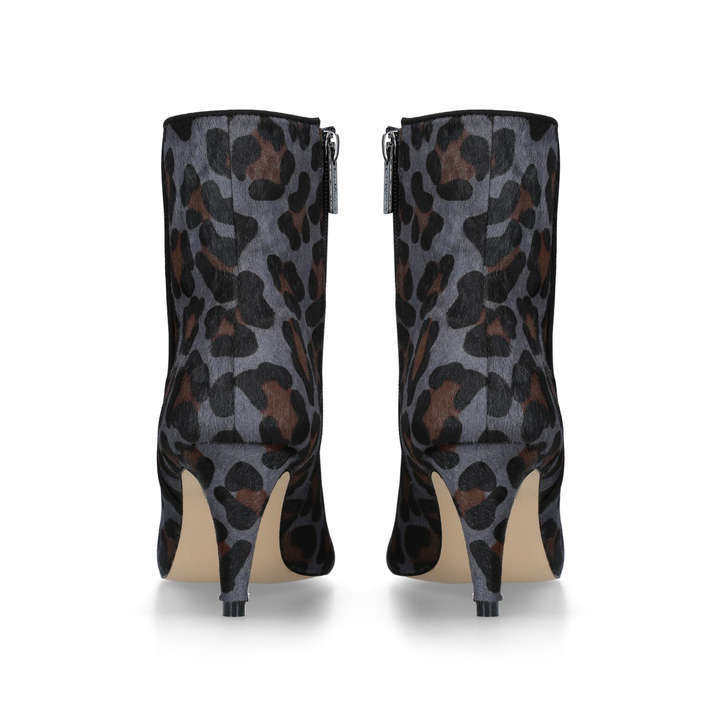 Fabulously fierce, Carvela loads up the pointed-toe ankle boot with boosted animal magnetism to greet the new season. 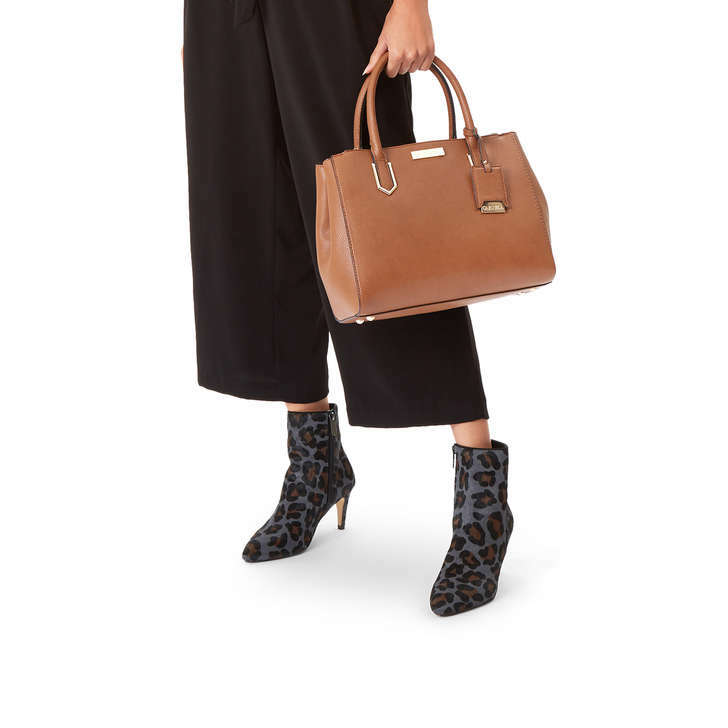 As seen all over the catwalks in recent collections, animal print is a prominent style topic and if you want to work the look with confidence then Samantha is the way forward. 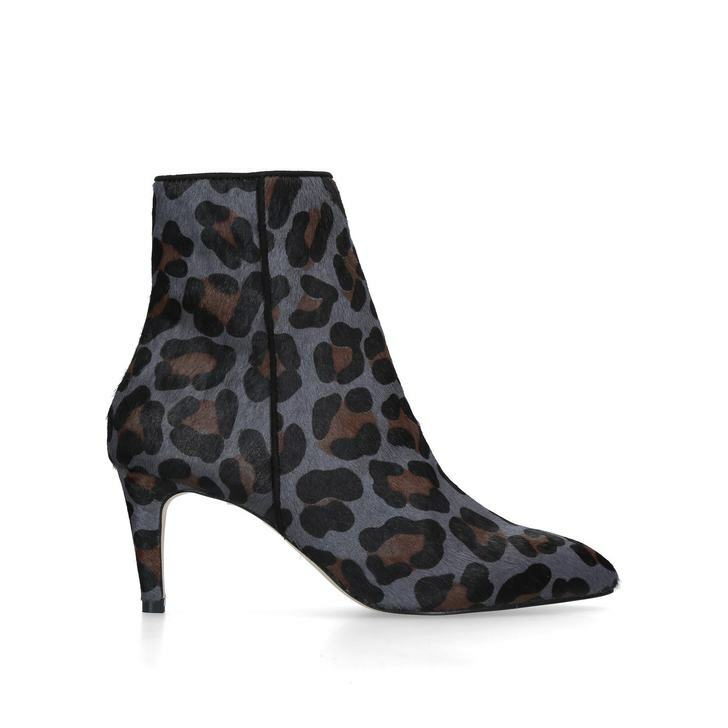 With a 135mm shaft height, this chic silhouette updates a classic through a trend-savvy leopard-print hair calf motif on a grey leather upper. 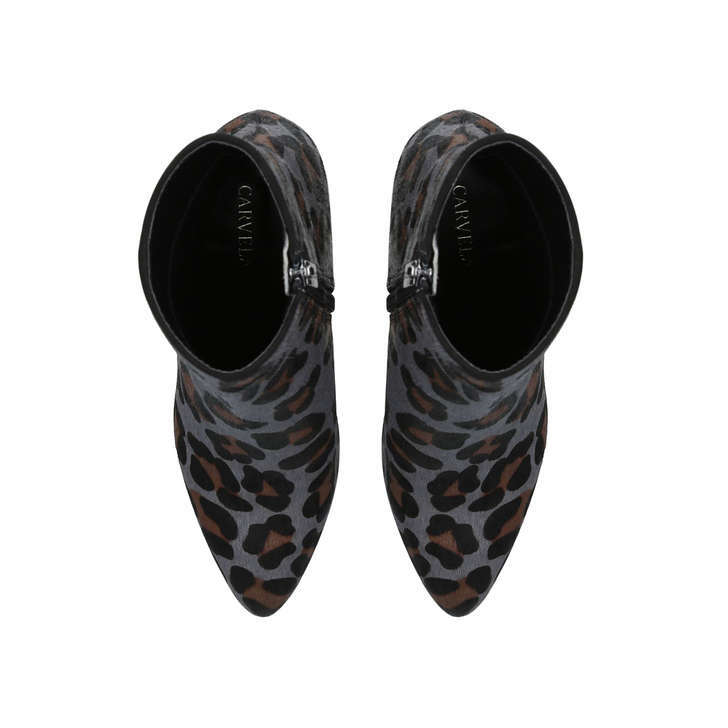 A 70mm heel lends a wearable finishing touch to Samantha's endless appeal, making her the ideal companion to anything from crisp cigarette trousers to block-tone playsuits and plissé midi skirts.